Posted in: Community, Media Release, Traffic. Motorists heading northbound on Royal Oaks Boulevard at Murfreesboro Road, as well as northbound on Mack Hatcher Parkway at Liberty Pike, will see new signs appear February 25th. The NO TURN ON RED signs will enhance the safety of these intersections, after crash and compliance investigations revealed that updates are needed. At Royal Oaks Boulevard and Murfreesboro Road, investigations found an excessive rate of red light crashes for the northbound right turns. Many of these crashes involved side-by-side vehicles at this two-lane turn, and some involved crashes with southbound left turns and eastbound through vehicles who were proceeding on a green signal. The number of crashes significantly exceeded the minimum number considered by national standards to warrant the “No Turn on Red” regulation. Engineering Department analyses of the impact on traffic flow found that the additional delays will be tolerable for the amount of crashes that will be prevented. There will be small to medium increases in the stacking lengths for these right turns, but the overall wait times will remain below critical levels. The safety of the green movements that conflict with the red signal right turns will also be improved. Signs with the display shown below will be mounted near right side corner signals as well as the overhead mast arm signals on the far side of Murfreesboro Road. 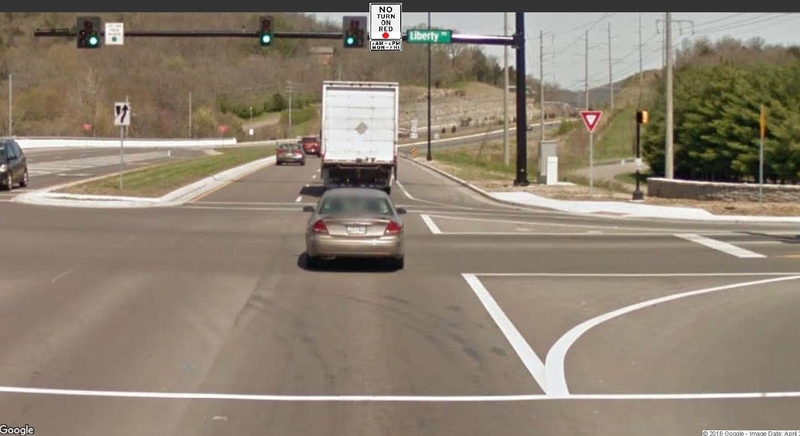 At Mack Hatcher Parkway and Liberty Pike, the existing “No Turn on Red” regulation adds safety by minimizing conflicts with the adjacent Jordan Road intersection. Compliance rates for this turn are below what they should be, so the City of Franklin Engineering Department evaluated options for improvements. Research showed that the regulation is most effective during mostly daylight hours, and that other times the traffic volumes are so low that the occurrence of right turn conflicts with Jordan Road vehicles is very low. Therefore the regulation will be posted to be effective only from 6 AM to 6 PM. Research also showed that improved compliance occurs with the sign that displays the red ball shown below. Therefore the Streets Department will upgrade the mast arm mounted sign with the improved display and time regulation. Franklin Police will be on hand to observe the traffic flow during the first few days to make sure drivers understand the new “No Turn On Red” regulations. This release was prepared & distributed by the City of Franklin Communications Office, and shared here for our followers. Posted in: Crime Stoppers, Media Release, Put A Name with This Face, Reward, Update, WANTED. Tagged: Sandrell. The City of Franklin is now offering a $5,000 reward for information leading to a suspect identification and arrest in Thursday night’s violent armed robbery. This new reward money is in addition to the, already-offered, Crime Stoppers reward of up to $1,000. 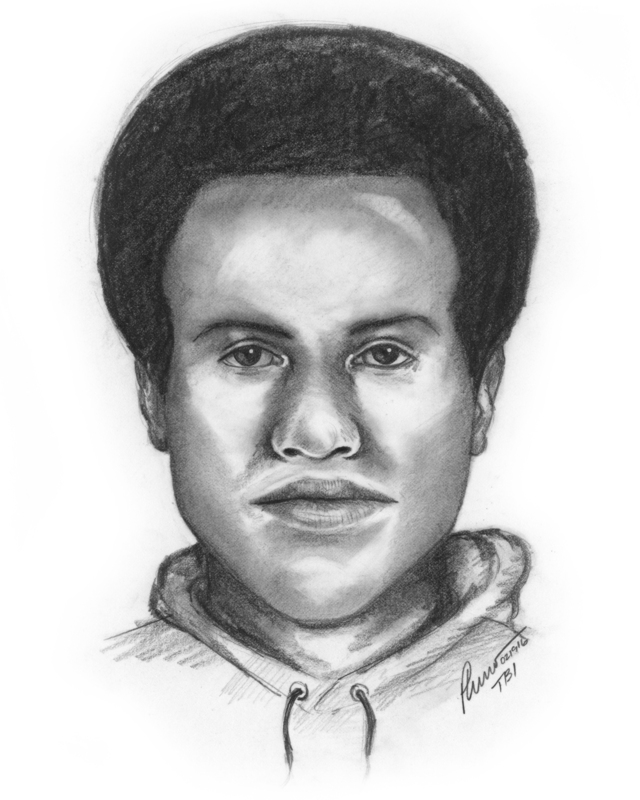 A TBI sketch artist worked with witnesses today to develop this composite drawing of one of the suspects. The second male black suspect wore a ski mask during the robbery. At 10:15 Thursday night, officers responded to the apartments at 700 Westminster Drive, after two black males robbed and shot at a man who had just parked his car and was walking to his apartment. The suspect missed, and no one was injured. The victim’s car keys were among the items stolen. During their getaway, one of the suspects stole the victim’s vehicle, a white 2011 Chevrolet Cruze with Tennessee license plate U 5502 S. The other suspect fled in a gray or silver PT Cruiser or similar vehicle. 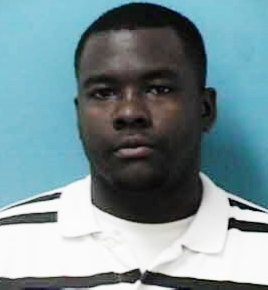 The City of Franklin is offering a $5,000 reward for information that leads to an arrest in this case. Anyone with information is urged to contact Franklin Police Department Detectives at (615) 794-2513, or Crime Stoppers: (615) 794-4000. Anonymous eTips can be submitted here. Posted in: Crime Stoppers, Media Release, Put A Name with This Face, WANTED. Tagged: Black. Franklin Police want to identify this man, wanted for using a stolen credit card to buy a flat screen TV at the Mallory Lane Walmart. The victim reported being contacted by her bank about the February 17 transaction, and realized that her wallet and car key had been stolen from her purse while visiting a Franklin Kroger. Information about this suspect’s identity is worth up a $1,000 with an anonymous call to Crime Stoppers: (615) 794-4000. Posted in: Crime Stoppers, Media Release, Reward, WANTED. Tagged: Swain. UPDATE: Earp was arrested 02/26/2016. He was released on 02/28/2016, after posting a $5,000 bond. 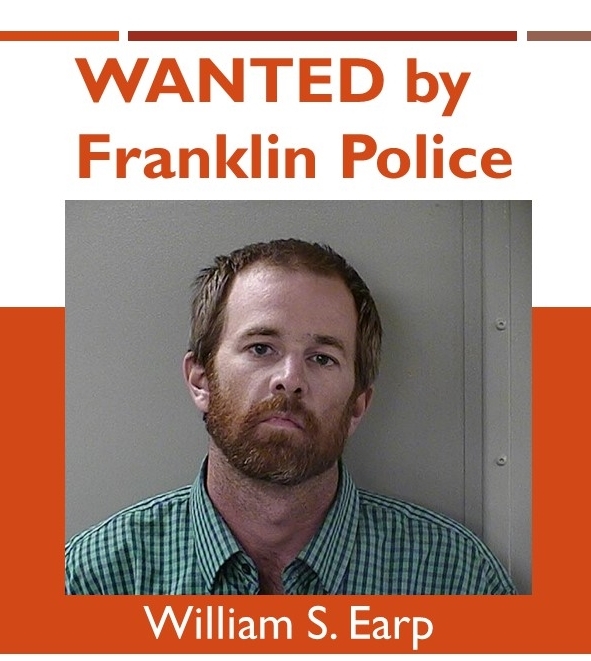 Franklin Police and Crime Stoppers are offering a cash reward for information on the whereabouts of 35-year-old William Earp. So far, the Murfreesboro man has eluded attempts by officers to take him into custody. Earp, a convicted felon on probation, is now considered a fugitive. On January 11, Earp ran from T.J. Maxx Loss Prevention Officers who were attempting to arrest him for shoplifting. Once he got to his vehicle, Earp sped away nearly striking a shopper. He is now wanted for Felony Theft and Reckless Driving. 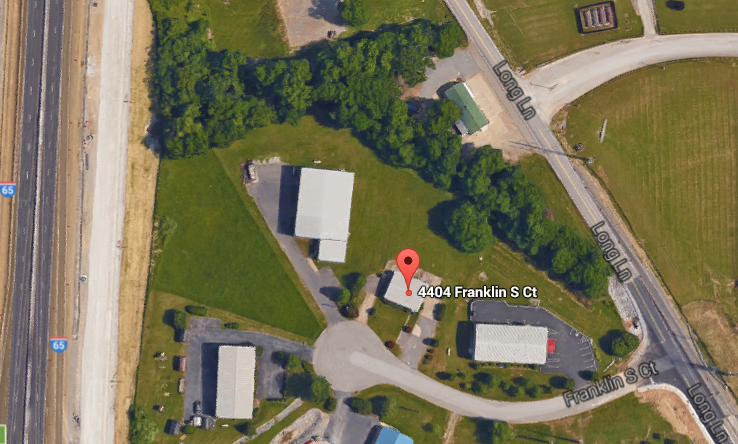 Franklin Police are seeking information on a weekend burglary at The Archery Den. Saturday night at 10:00 p.m., officers responded to the business, located at 4404 Franklin S. Court, to investigate an activated burglar alarm. Arriving officers found that the front door had been pried open and the business had been burglarized. Several items, including a crossbow, bows, arrows, and related archery equipment had been stolen. The business’ owner posted this video of the in-progress burglary on Facebook. 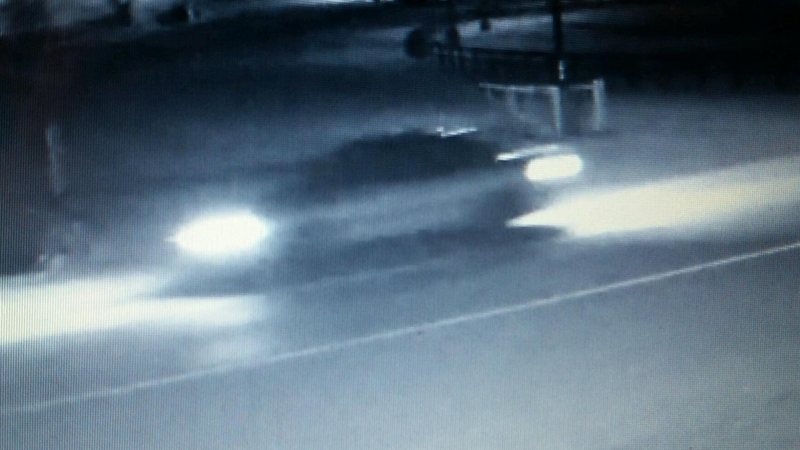 The suspects got away in the vehicle pictured here. Investigators are looking into the possibility of this case being related to a recent burglary of an archery store in Sparta. Posted in: Arrests, Media Release, Update. Tagged: Clark. Franklin Police have been searching for a man who threatened family members last night with a machete. At 9:40 Thursday night, officers were summoned to a home on Cothran Drive after 29-year-old Christopher Dalton threatened family members with a machete during a disturbance. Dalton, who had been incarcerated since 03/21/2015, was just released from jail on February 8. Dalton, who fled last night prior to officers arriving, is believed to have returned to the Cothran Drive home earlier today. Franklin Police SWAT entered the home a short time ago and found Dalton had, again, fled prior to officers sealing off the area. Dalton, who was wanted for Aggravated Assault, was taken into custody moments ago outside a home on, nearby, West Meade Boulevard.